Spring is a great time to take a respite from rich winter cuisine and regain strength. 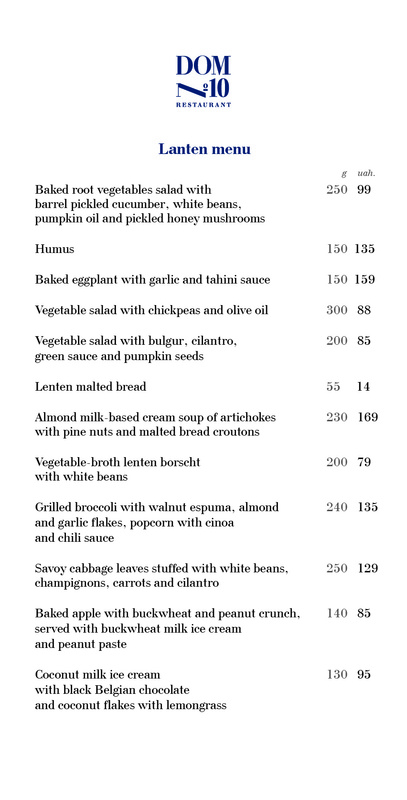 On this occasion, our chef Georgy Sharuev has prepared a new menu with vegan dishes. From 11 March to 28 April, during the fast, we will serve light soups, fresh snacks, spring salads, hot dishes and desserts.